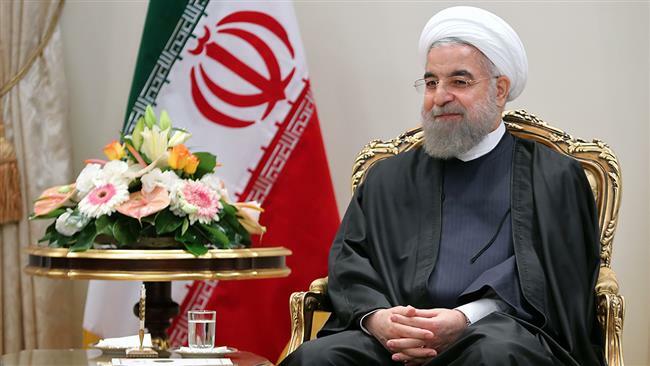 THE LEVANT NEWS — Iran’s President Hassan Rouhani has extended his congratulations to people in the world on the occasion of the New Year of the Gregorian calendar, stressing the importance of promoting peace across the globe. 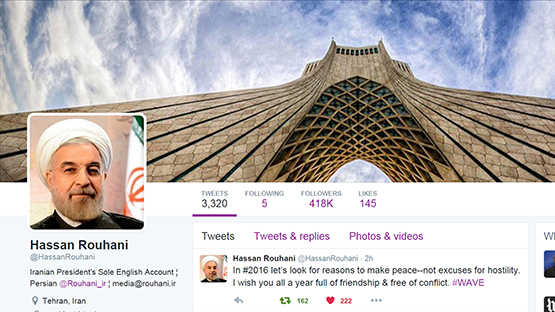 “In 2016, let’s look for reasons to make peace – not excuses for hostility,” Rouhani said in a congratulatory message on his Twitter page. 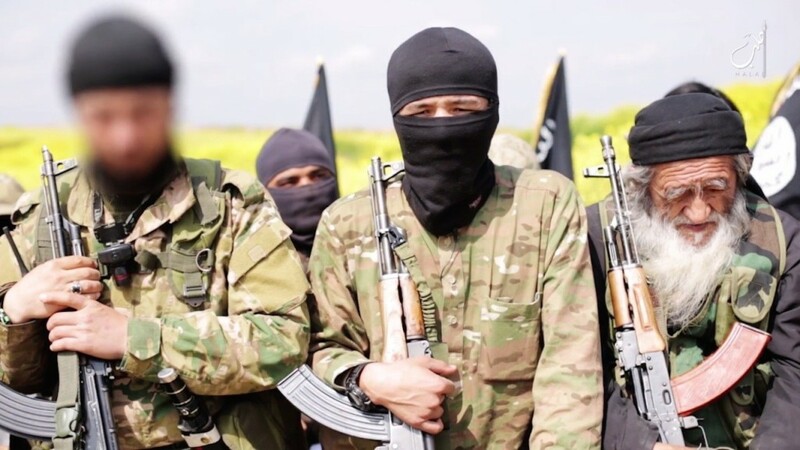 Meanwhile, Iran’s Foreign Minister Mohammad Javad Zarif also wished a happy New Year to all and reiterated the need for diplomacy to make achievements in dealing with ongoing developments. 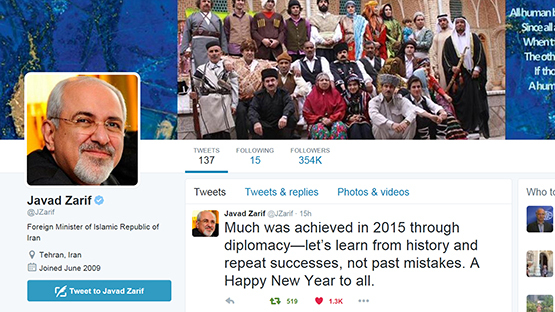 “Much was achieved in 2015 through diplomacy – let’s learn from history and repeat successes, not past mistakes,” Zarif wrote on his Twitter page.